There are many organizations the are helping with the fight against PennEast. 3/11/16 NJCF-Filing to FERC. A great read. 11/21/15 -PennEast pipeline not needed for reliability: Research shows claims are flawed and outdated. The mission of New Jersey Conservation Foundation is to preserve New Jersey’s land and natural resources for the benefit of all. 3-2-16 The Delaware Riverkeeper Network filed a lawsuit March 2 against the Federal Energy Regulatory Commission (FERC). engaging regulatory & policy makers in order to secure decisions & programs that protect and restore our river and watershed. If you haven’t thought much about where your energy comes from and why it matters, now might be a good time to start. Mike's blog has been a source of information on multiple levels; from stories of impacted homeowners, to his filings to the FERC, to route maps and changes. 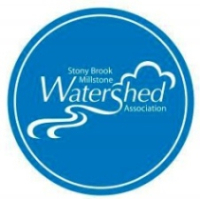 Stoney Brook-Millstone Watershed Assocation is central NJ first environmental group.Since 1949 they have worked to protect our water & environment through conservation, advocacy, science & education. 11-25-15 Letter to County Legislators about aerial surveying. 0-27-15 WACAP's Detailed Analysis proving lack of need for this gas. to assit in the fight to stop the PennEast Pipeline.